The establishment of municipal government in Kaunas marks the beginning of the history of Kaunas as a city. Among today’s Lithuanian cities Kaunas was the second one after Vilnius to receive the Magdeburg Rights, granted by Vytautas the Great on February 14th, 1408 (Jogaila had given these rights to Vilnius on March 22nd, 1387). City autonomy is a very important aspect in Lithuanian history; therefore it is essential to commemorate the date of the autonomy establishment in Kaunas properly. It is stated in the privilege which grants Kaunas the Magdeburg Rights: “Endowed at Birštonas, on a Thursday, the day of St. Valentine, in the year 1408”. However, some specific dates in Lithuanian historiography of are not universally acknowledged. The date of the earliest known privilege given to Kaunas has not been specified for a long time. It determined the decision of the modern Kaunas city municipality to choose a different date for the Day of Kaunas festivities, i.e. a date that is more specific, except which refers to a different privilege. Residents of Kaunas leaned upon the oldest extant privilege to the city and in 1998, having decided to declare the Day of Kaunas, chose the 20th of May, a date when Kazimieras Jogailaitis renewed and expanded already existing rights of the city. The text of the privilege from the year 1408 is not an original. It is a text, which only appeared in the Lutheran environment of Kaunas in the beginning of the 17th century. Historic research showed that the authors of the 17th century variant had used a copy or a summary of the original privilege, dated 1408. The very date of the privilege does not raise much doubt. Therefore, it is proper to regard February 14th, 1408 as the beginning of Kaunas city autonomy. Vytautas transferred the scales, the house of wax and the cutting station to Kaunas. These were profitable monopolistic enterprises. The scales were used to weigh goods brought to the city or the goods ready to be shipped off. The house of wax was the place to verify the quality of produced wax and to melt it into suitable lumps. Textile materials were finished processing in the cutting station. Legal and economic immunity of Kaunas in the Republic was repeatedly affirmed by other privileges. The privilege by Kazimieras in 1440 allowed holding an 8-day annual fair on August 15th, the celebration of Blessed Virgin Mary’s ascending to Heaven. It was one of the first permissions to organize fairs in Lithuanian cities. Alongside other rules, the privilege of Kazimieras banned retail sales in Kaunas by visiting merchants. Especially important for the city economy was the privilege of Aleksandras in 1492. This ruler proclaimed that visiting merchants have no right to travel with their goods to villages and towns of Lithuania, which did not have the Magdeburg Rights. These merchants could only trade in Kaunas and with Kaunas residents only. The right of intermediation was declared forbidding these visitors to trade between themselves. Kaunas was confirmed to have the right of stowage (this right had already developed earlier) which instructed visitors of the city who brought their goods that they must stay here at least for 3 days and sell it to the residents; only then could the merchants travel on to other autonomous cities of the Grand Duchy of Lithuania or abroad. Crafts developed rapidly in Kaunas too. The first four workshops were established in the second half of the 16th century. By the end of the 17th century there were 12 running workshops in the city. By the end of the 18th century there were 10 workshops. From the 16th to the 18th century there were a total of 23 craft workshops, which embraced at least 36 different types of craft. There were shavers, sailing-masters, weavers, tailors, armourers, glaziers, etc. 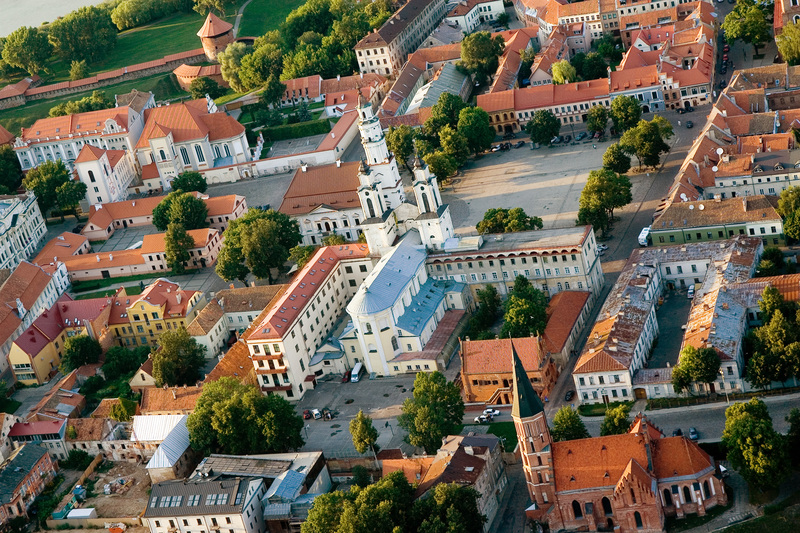 Therefore, since 1408 Kaunas has grown as a real European city. Having received extensive legal and tax immunities, residents of Kaunas established a strong community, which was called by the contemporaries a Respublica Caunensis i.e. the Republic of Kaunas. Kaunas government consisted of the three main interrelated institutions: Vaitas (city administrator), Magistrate (of 12 advisors and 4 burgomasters) and the Court of 12 Benchers (“Suolininkai”). According to the Magdeburg Rights Vaitas was the highest authority in the municipality. He was a representative of the city. It was a title which suggested more honor than power. Vaitas presided over the Court of Benchers and announced its decisions. The second institution was the Magistrate (the Council). The Magistrate looked after the life of the city, passed regulations and secured implementation of resolutions. Magistrate exercised one of the city courts’ function too: it solved civil cases between residents, issues of custody, property and inheritance. The lowest authority in the city government was the Benchers Board. This Board judged criminal cases between residents, disputes of property and various offences against city order. Kaunas experienced the peak of economic rise in the end of the 16th century and the beginning of the 17th century. During this period city plans changed and a lot of stone houses were built. After the wars, Russian occupation and the city crisis in the middle of the 17th century a lot of changes occurred: the Benchers Board became a part of the Magistrate and a new joint Vaitas-Magistrate court, which solved criminal cases of the city authority representatives, began to function. An active battle for personal interests would also take place in the city Magistrate between political groups, accompanied by licentiousness of the officials and financial machination. Legal restrictions were required to control this battle. The city especially took care of and protected its privileges. In 1542 a City Hall was started to build. Kaunas city blazon seal, which appeared during the rule of Vytautas in the beginning of the 15th century, is one of the oldest known blazon seals in the territory of Grand Duchy of Lithuania. European features were imparted on Kaunas in the beginning of the 17th century when a stone wall was started to build around the city. Kaunas is not just a community of common residents (a city); there are also noblemen and members of clergy. Beyond the city walls residents were subject to the state laws of the noblemen. The situation began to change after passing the City Law in Seimas on April 18th, 1791. All the residents of the city, including noblemen, were to conform to this City Law. Noblemen who possessed houses in the city could become residents, while residents were granted some of the noblemen’s rights. Unfortunately, these reforms were not realized, as the Polish-Lithuanian Republic foundered in the year 1795. In the end of the 18th century and the beginning of the 19th century the old privileges and the Magdeburg Rights were still valid. However, the Magistrate’s competence was restricted. The city became subject to authority officers from Vilnius and Petersburg (or Kaunas Governor Board, since 1843). In 1808 city Magistrate was replaced with the Duma of 6 persons. The capacity of Duma was tenuous. The situation somewhat changed in 1876 when the City Law, passed in June 28th, 1870, came into force in Lithuania. According to this law, the main institutions of the city autonomy were: electoral meeting, city Duma and city Board. Duma of the city (municipality) was elected not by the representatives of the castes, but by the property owners. City Duma performed organizational functions. It consisted of members elected for the term of 4 years. The number of members varied from 69 to 72. City autonomy was substantially limited in czarist Russia. Towards the end of the century capacities of city municipalities were even more constricted. In the period of the first Lithuanian Republic Kaunas city Council was elected 6 times in: 1918, 1920, 1921, 1924, 1931 and 1934. The position of burgomaster appeared in Kaunas in 1921. Jonas Vileišis became the first burgomaster of Kaunas (until 1931). His successors were burgomasters Antanas Gravrogkas (1932-1933) and Antanas Merkys (1933-1939). Kaunas City Council would elect a board of its members (since 1931 its functions were transferred to the Burgomaster). The number of members in the board depended on the number of members in the Council. Various political parties, organizations and associations took part in the city municipality elections. The new Municipality Law of 1931 tightened the control of Ministry of Internal Affairs over municipalities. Having established property qualification (the right of the elections was only granted to the owners of farms and enterprises, and state office and municipality workers) and having changed the age limit (24 years of age and older) very few people could take part in municipality elections. In 1924 46 000 residents of Kaunas could take part in municipality elections; in 1931 such right was granted to 27 000 people only. The main opposition parties and all of the democratic groups criticized the law of 1931 severely and decided to boycott municipality elections. However, the situation did not change and in the municipality elections of the year 1934 opposition parties took part again. Although the tenure of the municipality elected in 1934 was 3 years, due to intensification of opposition the government halted to announce the new elections and extended the authority of prior municipalities. On June 15th, 1940 when the Soviet Union occupied Lithuania municipalities were destroyed. Mainly, only the heads of municipalities were functioning since then, i.e. the heads of the district, city burgomasters and vicinity superiors (“valsciaus virsaitis”). However, the functions of these officials were also reduced and their role was diminished. Functionaries of communistic party and repressive groups became the real authority in the city, district and vicinity areas. After a long time in Lithuania the first independent and democratic municipality elections took place on March 24th, 1990. The elected representative institution of municipal govenrment in Kaunas at first was called Kaunas City Commons Deputy Council (a 100 elected deputies). Since April 1990 this institution became known as Kaunas City Council. Since July 1994 it is called Kaunas City Municipality Council. 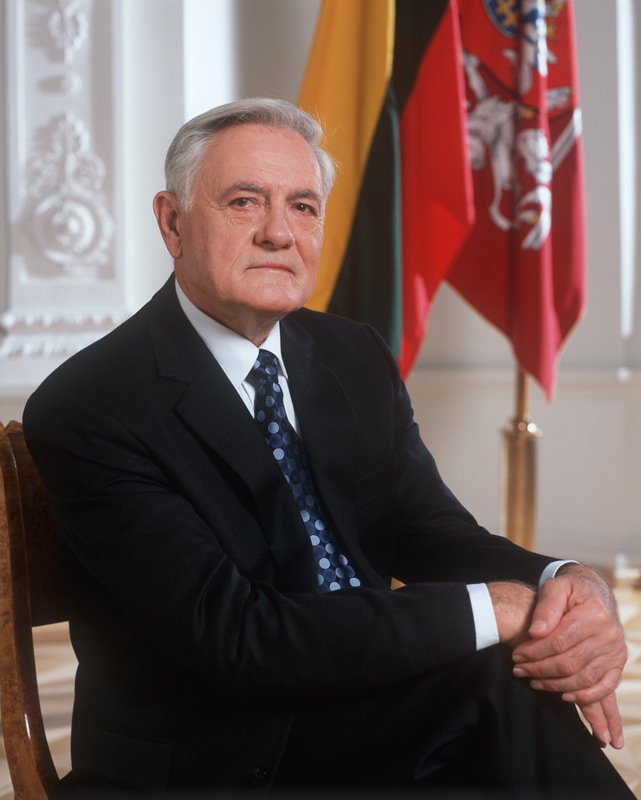 Vidmantas Adamonis was appointed as the first mayor of the city on May 15th, 1990.